Nick Sudnick, the leader of the legendary Soviet avant group ZGA, is famous for constructing his own and totally unique musical instruments. Since his instruments have no name, in the booklet we tried to make a photo of him playing his "sound objects." Needless to say, Nick's unorthodox sounds created a challenge for Sainkho. As a truly outstanding artist, she rises for the occasion and responds to the challenge in a totally original way. 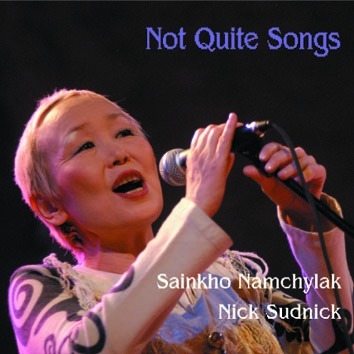 We don't know any singer on this entire planet who can do with her voice what Sainkho does with hers.